Mumbai, April 12: Megastar Amitabh Bachchan paid Rs 70 crore as tax for the financial year 2018-19. 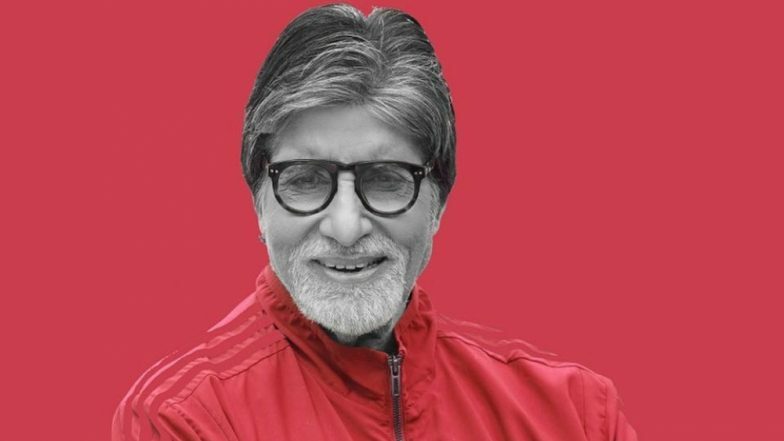 "Mr Bachchan has paid Rs 70 crore tax for the financial year 2018-19," his spokesperson said in a statement. In the recent past, Big B also paid off loans of 2,084 farmers in Muzaffarpur, Bihar. He has also donated Rs 10 lakh to the family members of each victim of the February 14 Pulwama terror attack. This year, he was seen in Badla. Shot largely in Glasgow, Scotland, it is a mystery thriller which also features Taapsee Pannu, Amrita Singh, Tony Luke, Manav Kaul and Tanveer Ghani. The film is produced by Red Chillies Entertainment and Azure Entertainment. An official adaptation of the 2017 Spanish film 'The Invisible Guest', its story follows an interaction between a lawyer and a businesswoman regarding a murder. Shahenshah of Bollywood Amitabh Bachchan Gifts Himself A Mercedes-Benz V-Class 'Most Expensive MPV' in India. Big B will soon be seen in fantasy trilogy 'Brahmastra', produced by Dharma Productions. It is releasing this Christmas. Also backed by Fox Star Studios, the movie stars Ranbir Kapoor, Alia Bhatt, Amitabh Bachchan and Nagarjuna in key roles. Besides this, he is making his Tamil film debut too.